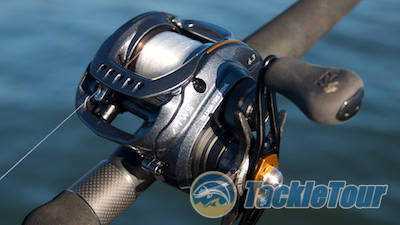 Introduction: To understand the popularity of Daiwa's Zillion baitcasting reels is to know this aluminum favorite is essentially an aluminum version of Daiwa's former flagship reel, the vaunted TDZ. The TDZ sat atop Daiwa's low profile baitcasing lineup for about ten years; was arguably the reason for Daiwa's ascension into the upper echelon of the bass fishing market; and as such was celebrated in Japan with a handful of variants before the manufacturer eventually allowed it to evolve into the Steez. Introducing Daiwa's new Zillion TWS. Like the former TDZ, Daiwa celebrated the Zillion with several USDM and JDM variants demonstrating its importance in their lineup: 50th Anniversary, Type R, J Dream, Coastal, PE Special, Crazy Cranker, ZDV, Hyper Long Cast (HLC), DR-100ZX, IP 79. At ICAST 2015, the manufacturer announced the next evolution for this reel merging the Zillion's mystique with a trickle up technology, their new TWS line guide. The Zillion TWS (left) is slightly taller in back than the former TD Zillion (right) as illustrated here. That's right, we said trickle up. 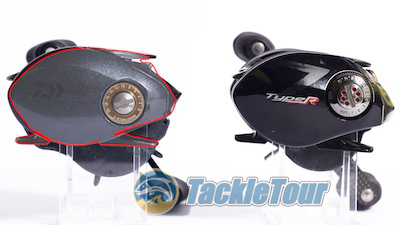 Normally manufacturers introduce new technologies in high end reels first, then trickle these improvements down to lower tier products through time. 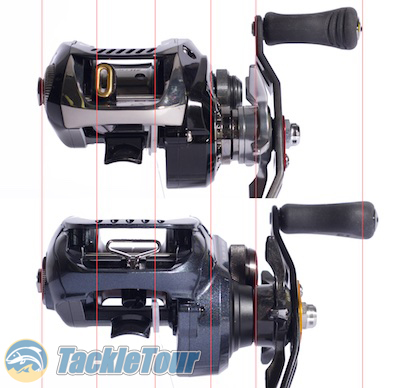 Daiwa's original T-Wing reels were mid and upper end reels, but the manufacturer made some engineering improvements to the system and introduced their new TWS with the Tatula in 2013, just two short years ago. The Zillion TWS (bottom) is also wider than the former TD Zillion (top). So how does the new, Zillion stack up against history, the competition, and its place in Daiwa's lineup? We've taken it apart, put it back together, fished it, and tested it against it's own family and the competition. In this three part series, we bring you the good, the bad, and yes, even the ugly behind Daiwa's new, Zillion TWS. Quality/Construction: The Zillion TWS picks up right where the last few reels we've reviewed from this manufacturer left off - with clean lines, precise tolerances and an understated finish. The knobs on this reel spin freely with little to no play but the handle does exhibit a little movement when pushed into and pulled away from the reel's body. There is no backplay in the Zillion TWS's handle.